I am very sure that the Arms AI is cheating, and I am not the only person who thinks so. I’m not saying this because losing to a game’s AI is a little embarrassing. 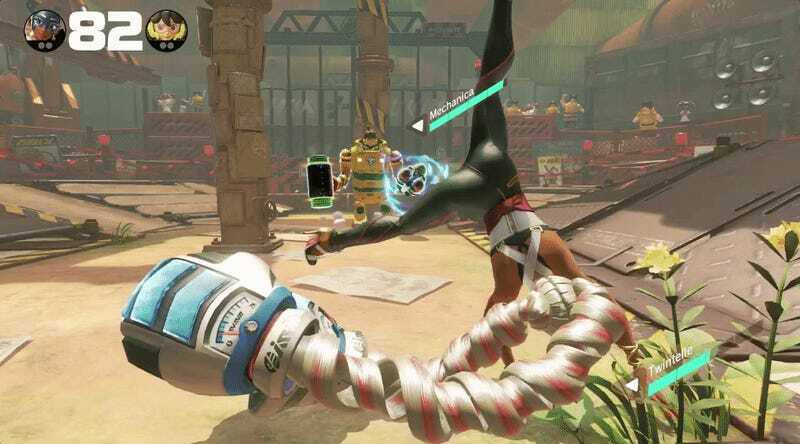 Actually, Arms’ AI is remarkably robust. At higher levels, it is always one step ahead of me at every moment, much like AIs in fighting games like Tekken 7. 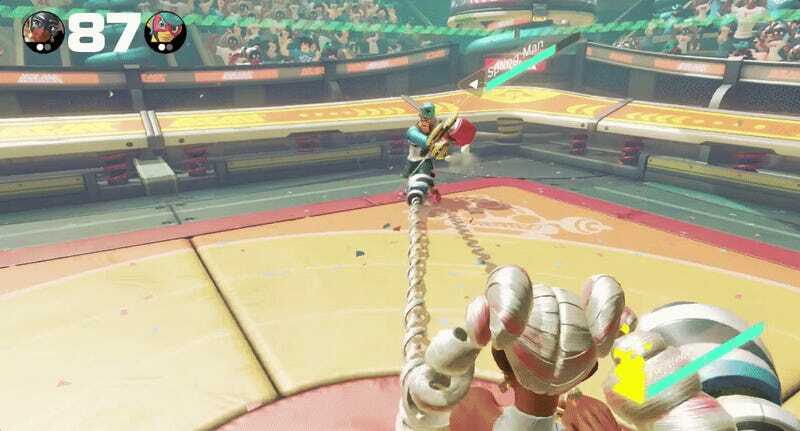 The Arms AI’s reflexes are slick and, frustratingly, it’s always readied some perfect counter for even my most clever moves. That’s normal—it’s a computer. Not normal is how it appears to break the game’s physics engine to pummel me over and over again. I swear I’m not crazy. 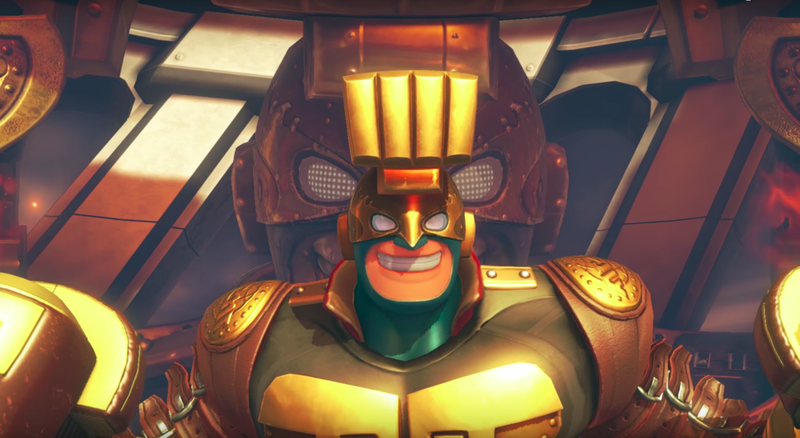 There’s a whole conversation going on in the Arms community about its AI. Last month, a Redditer noticed that “when I activate my special while the CPU’s arms are being extended, the CPU somehow immediately enters a block without having to retract the arms again,” something I and many others noticed too. 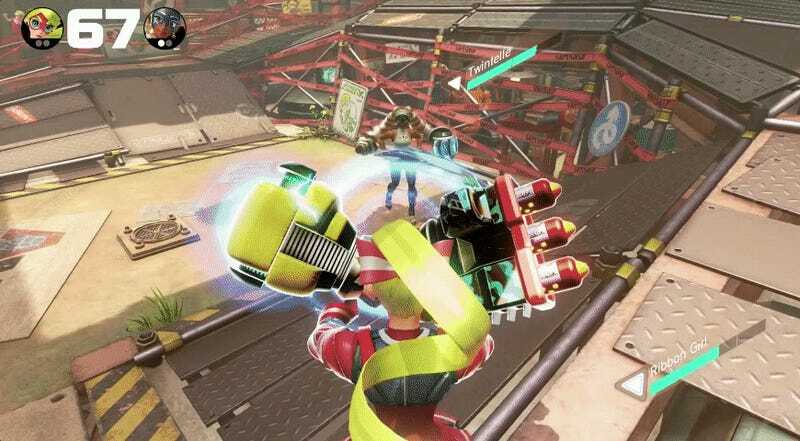 Commenters debated whether Arms’ AI is just as precise as other fighting games’ or whether, by doing stuff humans can’t do, it’s shady and unfair. I can’t wrap my head around the way it can magically retract its extended arms to block me, or how an arm can appear half-extended to foil a grab. I can’t understand why its arms nearly always take priority in situations where it should be more ambiguous. 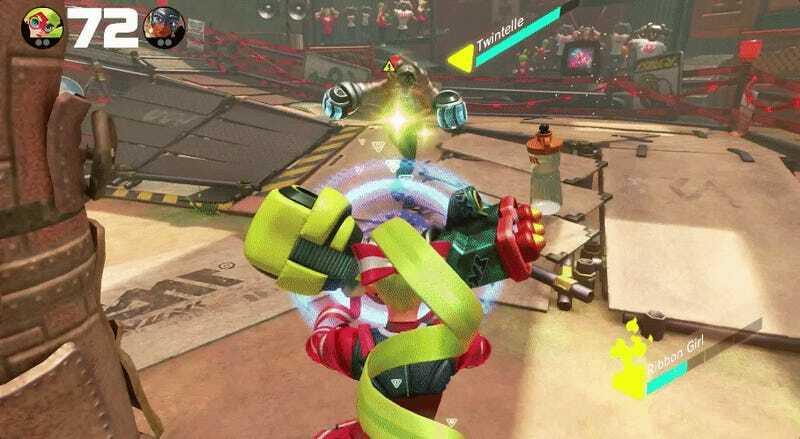 Playing against a high-level Arms AI, it feels like the game reluctantly cedes to you in fist-to-fist situations only when you land perfect direct hits (and the AI’s fists seem to be much luckier). Also confusing is how its arms seem to block my attacks after they’ve hit. 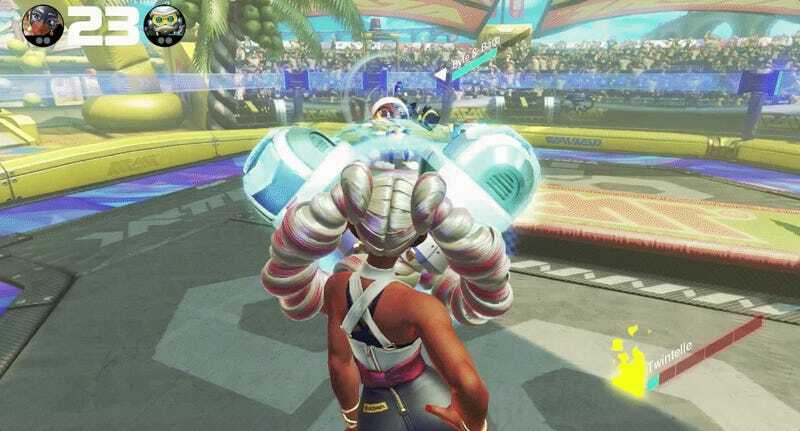 Nintendo declined to comment when asked whether Arms’ AI is doing the 2017 equivalent of GameSharking, as they did when Compete’s Maddy Myers asked whether Mario Kart 8 Deluxe’s AI cheats, too. Unlike in Super Smash Bros., players can actually grind against Arms’ (cheating) AI and level up in accuracy and dexterity. That’s good. But playing against a broken AI can also make the game less fun. An AI’s difficulty should rely on proper strategy, not hacking.